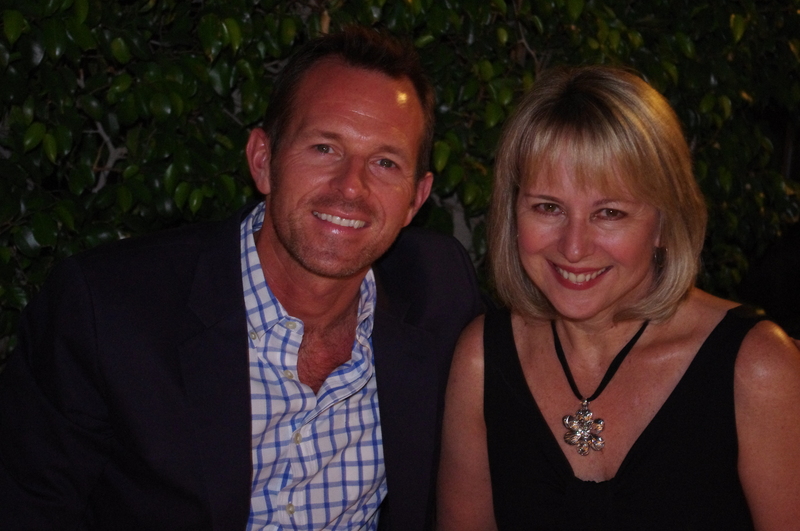 A few weeks ago I was fortunate to be able to spend a week at our place in Palm Springs, CA with my sister Kim from Howell, Michigan. We lounged by the pool, shopped Uptown, cocktail’d and dined about town, rode bikes, sipped tea before bed and enjoyed valuable time together without kids, partners or other distractions. I am simply blessed to have such a supportive and loving sister that is one of my best friends. A trip to always be remembered. 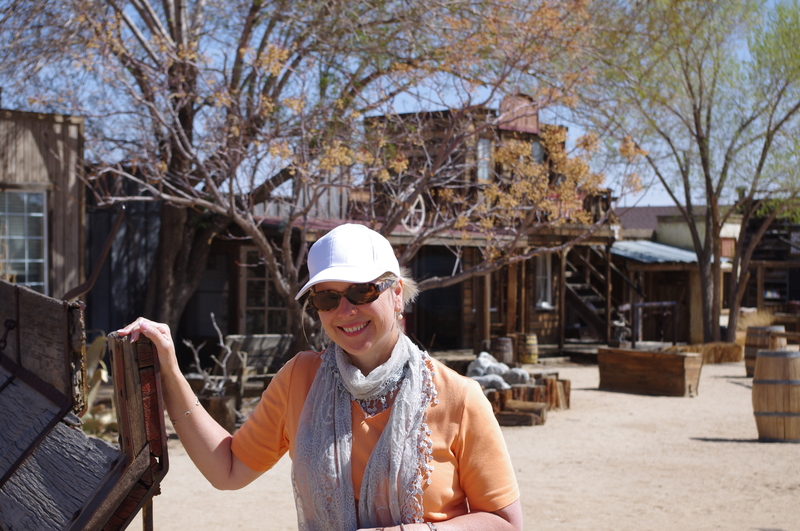 The highlight of her visit was our trip to Joshua Tree National Park and the surrounding sites and towns. 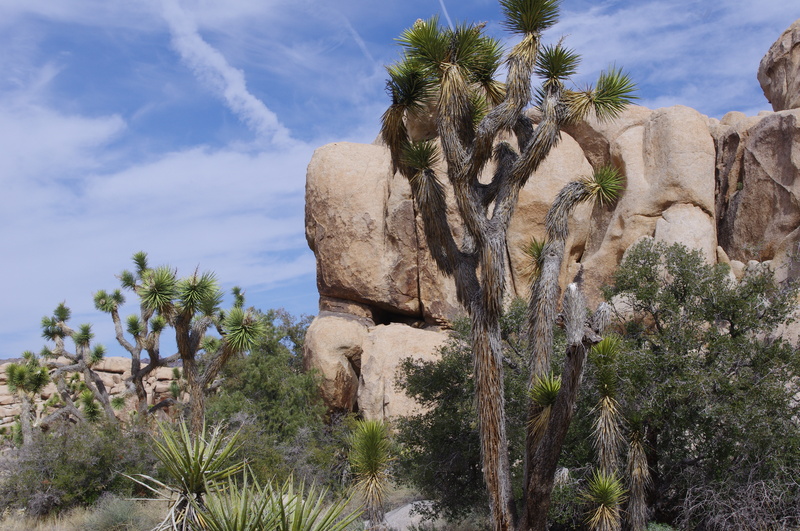 Coincidentally, a few days before our outing there was a great article written by Christopher Reynolds in the Los Angeles Times with highlights of what to see and do while in and around Joshua Tree National Park. We printed the article, grabbed snacks and the map and hopped in the car for our day trip adventure hoping to see and experience the best of the area. 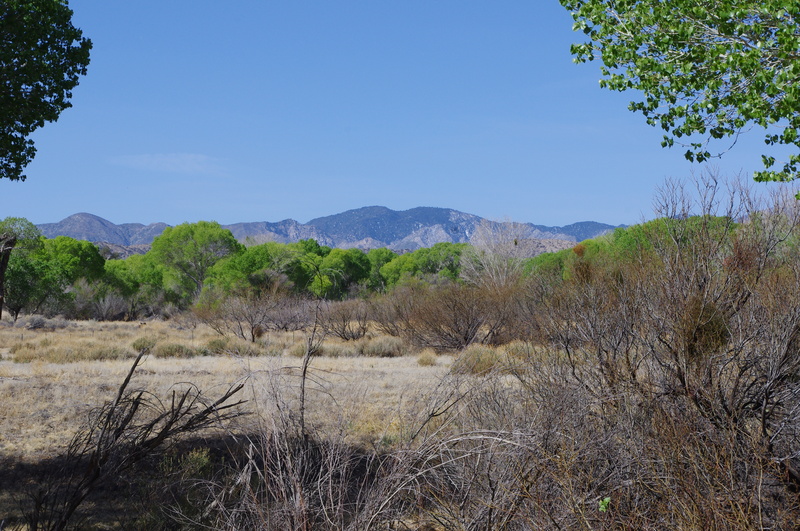 Our first stop was Big Morongo Canyon Preserve which is a desert oasis located in Morongo Valley, CA. The bright green trees within the oasis provide a stunning contrast against the desert brown hues and the snow-capped mountains. 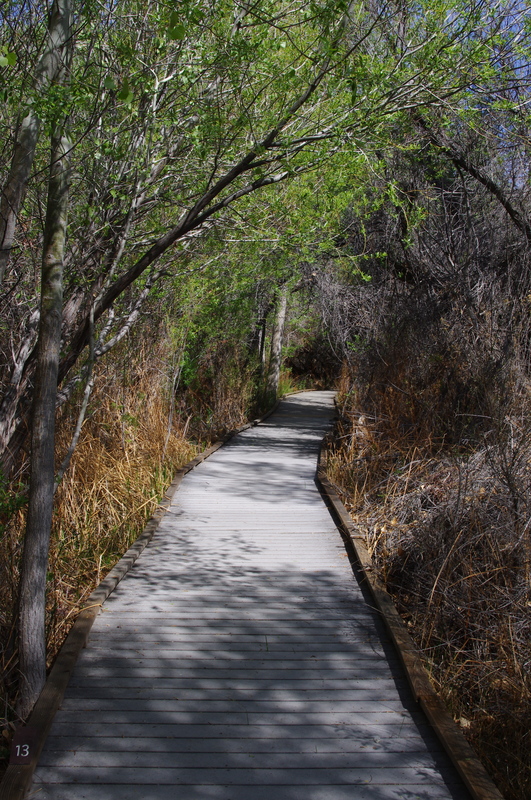 The preserve has several easy hikes (ours was on a beautiful winding boardwalk) which showcase the vistas and the supposed 1400+ pairs of breeding birds. 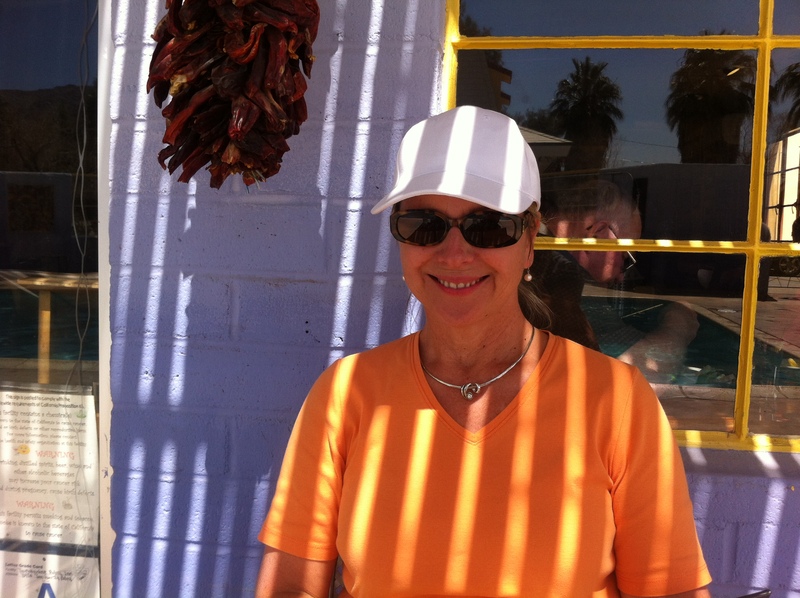 Our next stop was just down the road in Yucca Valley, CA. 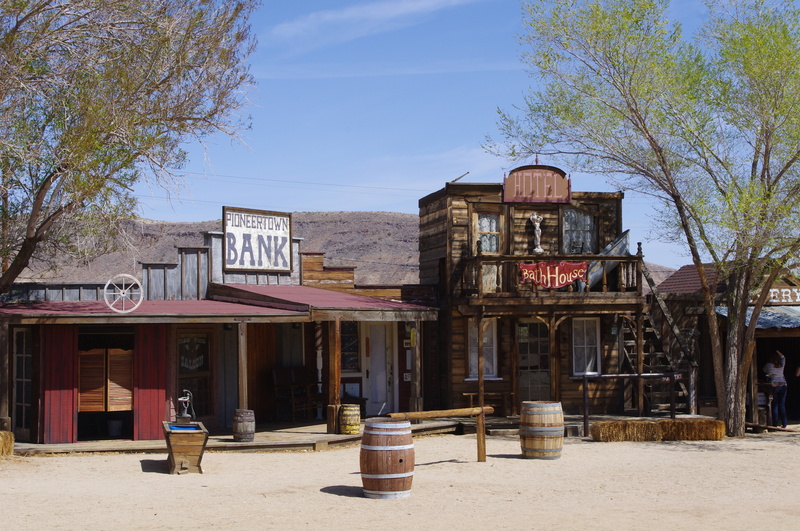 About 5 miles off the main drag is Pioneertown which was built in the 1940’s and was used as a set for films and television shows including some old western favorites such as Annie Oakley and The Cisco Kid. The town touts that its’ Post Office is the most photographed in the United States and the oldest working bowling alley is located here as well (Gene Autry frequently hosted his weekly variety show here). A fun stop for photos and I am sure that the kids would love it. Another dozen miles or so down the road is Twentynine Palms which is a small desert town in the Oasis of Mara and also the northernmost entrance to Joshua Tree National Park. The town boasts a training center for the Marines who prepare for combat and other missions such as their work in Desert Storm. The area is known for its’ murals that can be found on dozens of buildings throughout town. 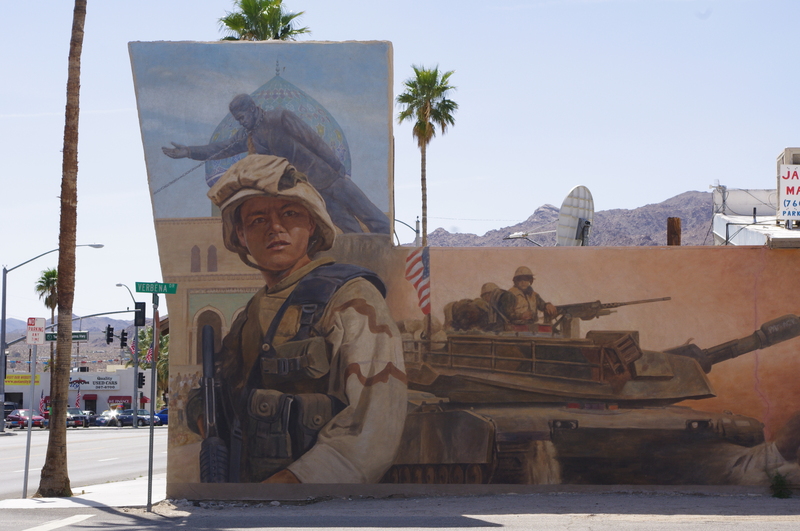 The murals often pay respect to the work of the Marines as well as other local community heroes and families. After taking in the murals we were ready for lunch. 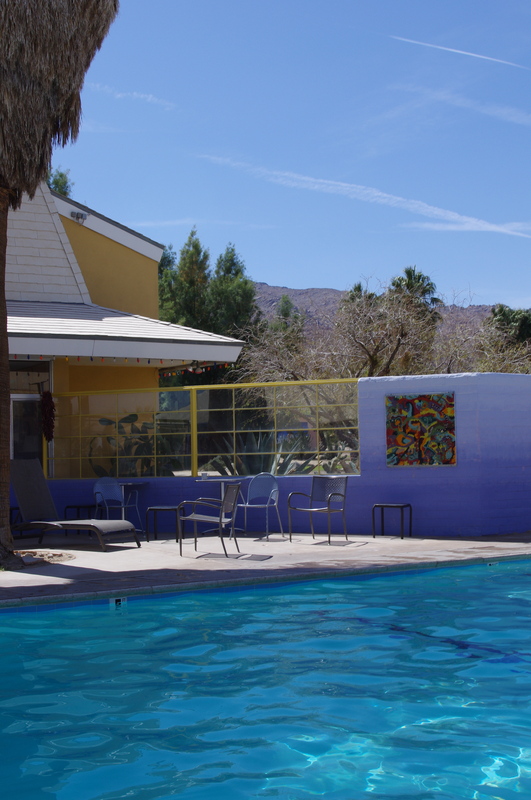 We wandered to the 29 Palms Inn and enjoyed a poolside lunch. Kids played in the pool and over excited businessmen from “the city” talked at length about their tough lives. Argh. Enjoy the day boys – relax. 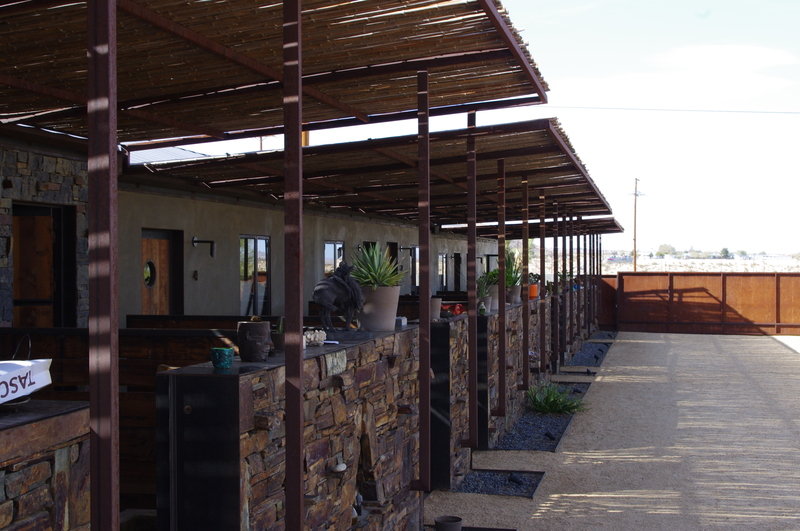 The resort was built in the early 1900’s and is a series of cottages scattered about several acres of land that shares the entrance road to the park. After our satisfying lunch we made our way into Joshua Tree National Park. If you have never been it is a bit hard to describe and visualize through photos. 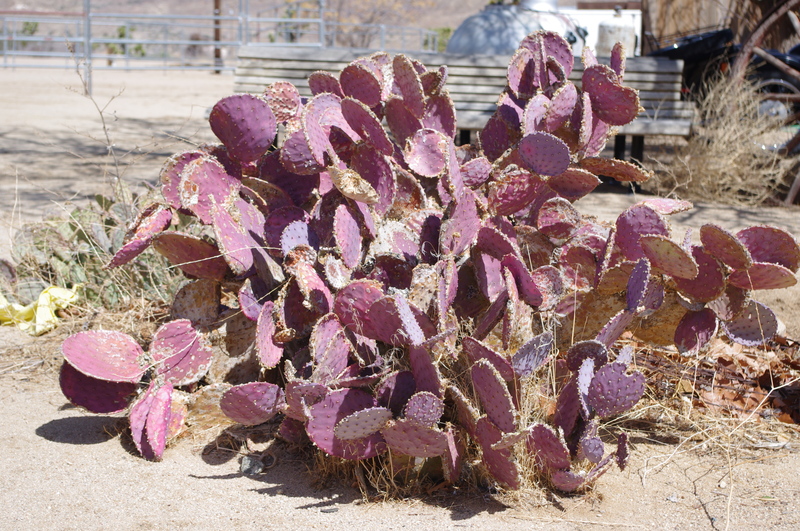 This desert park is vast and expansive and is filled with unique flora and fauna with mountain peaks and ravine lows. There is an indescribable beauty to the park. As odd as this may sound, it almost feels like you are on a movie set (as Kim noted). Time in the park forces you to connect with your spirituality and illuminates our small and mortal place in this world. My sister and I talked about how amazing it would be to stay the night in the park to experience both the sunset and the amazing sunrise. We immediately began to plan and RV trip back to the park this fall. Remember from my profile that I am the organizer and by the way, my sister is too! With all the beauty there is also wonder about how families and farmers actually lived in this type of terrain years and years ago. There was more water and less harsh conditions back then but there was no electricity or other services available. The families that settled here were adventurers looking for peace and serenity in a new world that others could not even imagine. 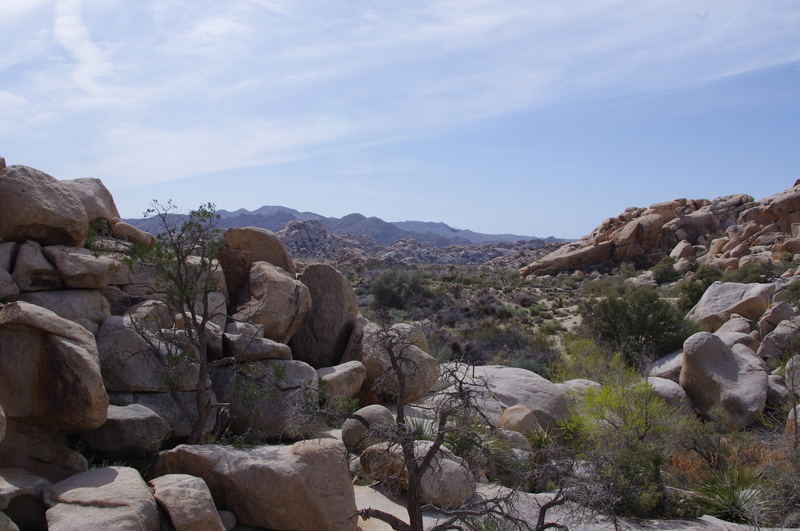 Our drive through the park took us to Jumbo Rock, Hidden Valley and Barker Dam. 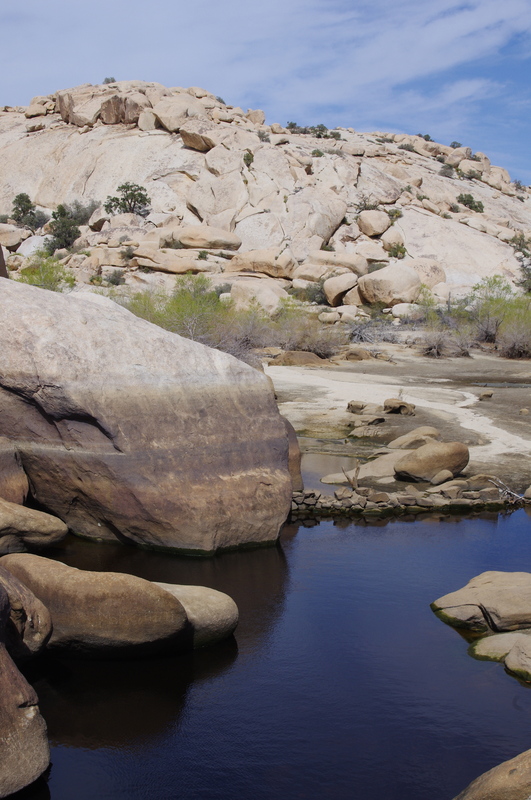 While at Barker Dam we ventured out for a less than two-mile hike into the valley where a dam had been built to provide water to the cattle herds that roamed. So much to see in this amazing park and just not enough time to explore it all. 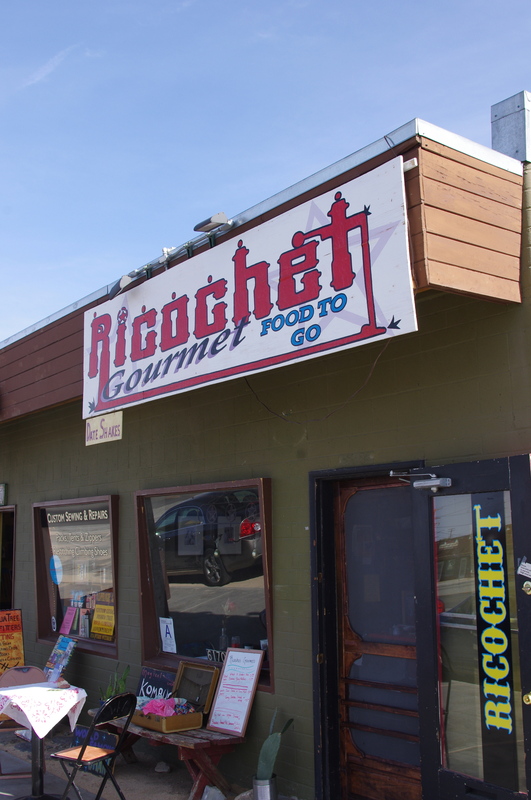 We exited the park through the Joshua Tree, CA station (Joshua Tree is also the name of a town) and stopped at Ricochet for a traditional date smoothie and a refreshing and locally made ginger kombucha. When in Rome – right? 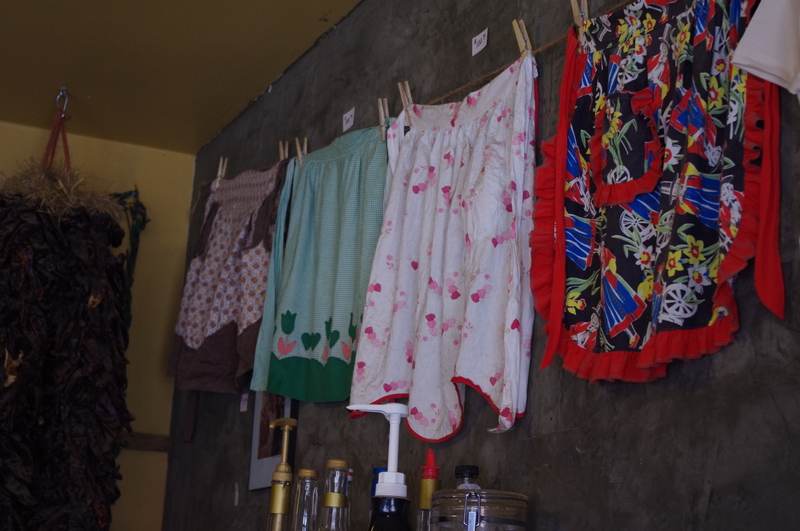 The eclectic shop also sold local art and vintage aprons and displayed a coffee cup that stated, “Robert Plant drank from this cup.” I suppose that means that we had found the right place for a drink. 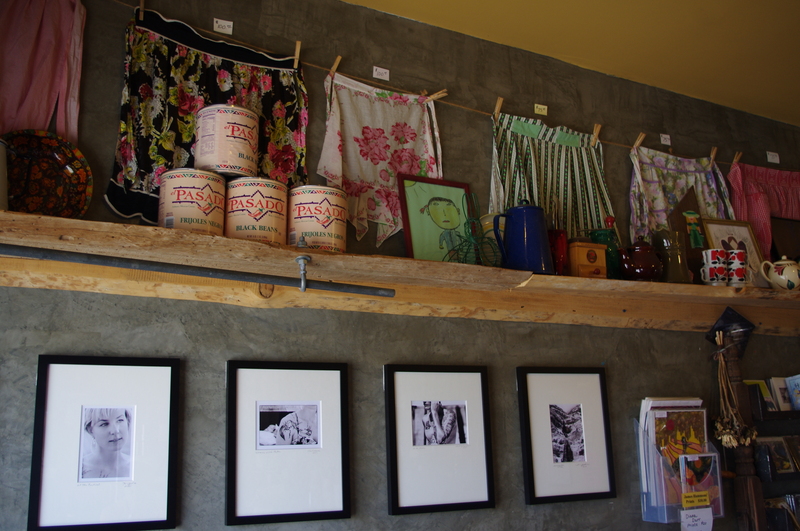 I had read a lot about a newly refurbished motel in Joshua Tree, CA called the Mojave Sands. 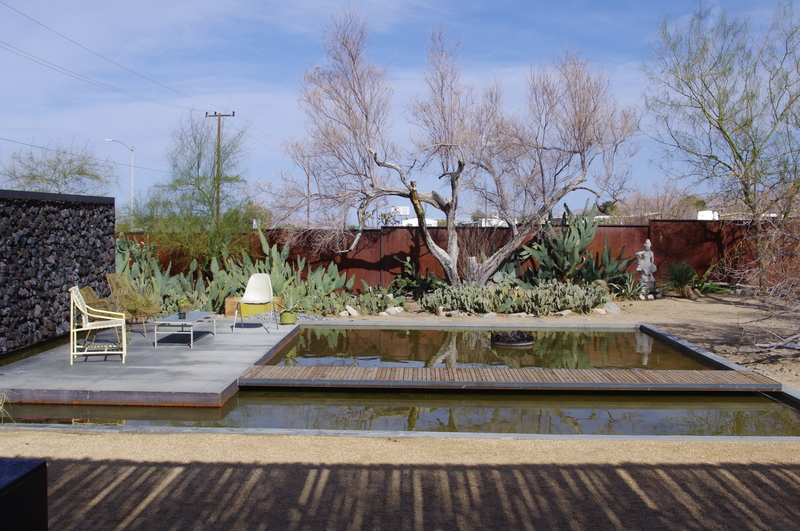 It seemed so odd to read about this remote motel in all of the travel and design rags this past Winter so we stopped by and met the owner, Blake Simpson. Blake purchased, gutted and remodeled the property and has many new improvements on the way including a pool. A great place to overnight if you plan to get in some serious exploring in the park and don’t want to hassle with the one hour commute back to Palm Springs. The motel is perfectly suited for what I call “LA Hipsters.” Do you follow? 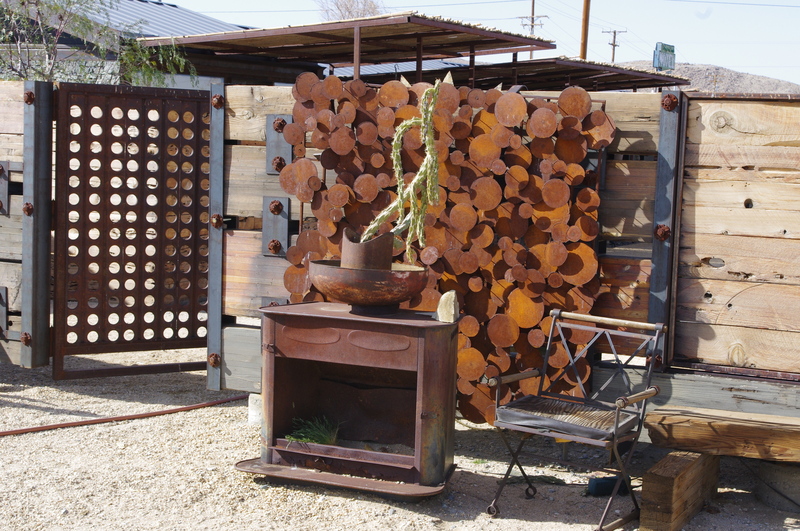 After browsing around the town of Joshua Tree it was time to head back toward home. 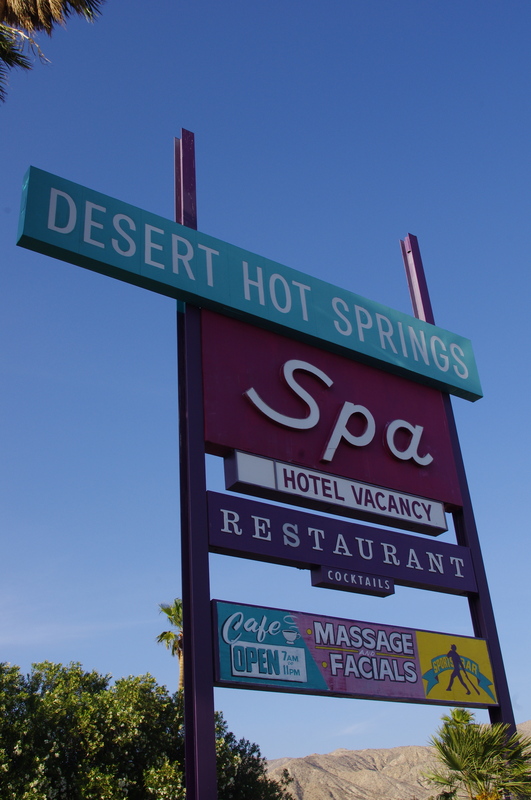 We wanted to make one more stop in Desert Hot Springs to relax our muscles, reflect on the day and maybe even have a cocktail while soaking in the famed mineral hot springs. 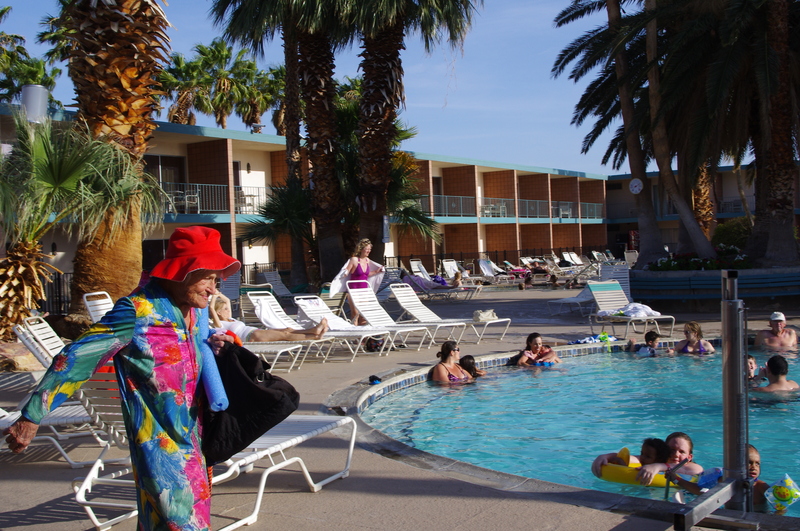 We arrived at the Desert Hot Springs Spa and took our towels, bathing suits and flip-flops in hand to pay our $5 entry fee for a soak. Well, I am not sure what to say other than you might want to find another spring to soak. We immediately left after a few minutes in the spa and hurried home for hand-made cocktail and a warm shower. But hey, I am up for trying anything at least once. You can take this advice and save yourself some time. We loved the determination, attire and focus of one of our fellow “soakers.” She had definitely been here before and knew her way around the grounds. Don’t mess with her. 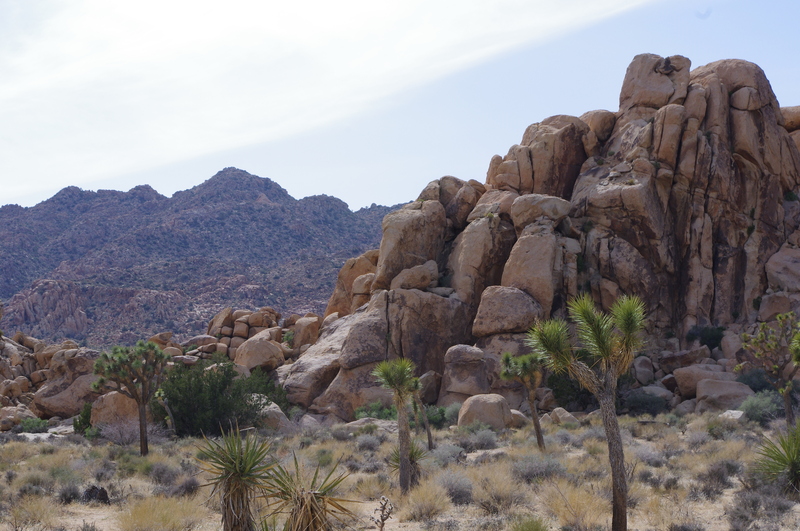 If you come to Palm Springs for vacation I would highly recommend a day trip to the Joshua Tree National Park and would check out some of the surrounding attractions as well. There is no other place like it. And if you don’t make it out this way, be sure to find time to spend with those that you love. Our last dinner in Palms Springs with the mountains as our backdrop for the sunset at the Purple Palm in the Colony Palms Hotel. This entry was posted in Joshua Tree, Sport & Fitness, Travel and tagged 29 Palms Inn, Big Morongo Canyon Preserve, Colony Palms Hotel, copley's, desert hot springs, Desert Hot Springs Spa, howell, Joshua Tree CA, Joshua Tree National Park, Marines, Mojave Sands, morongo canyon, Palm Springs California, Ricochet, Twentynine Palms California by The Style Dancer. Bookmark the permalink.